L'arc de mission du Forum Malvanum est dorénavant complet et pour vous montrer le travail qu'il y a eu derrière, l'équipe nous propose un article "Making of" nous dévoilant quelques secrets de conception. De la conception des Chariots à la mise en place de la course, voici comment tout cela a pris forme dans les coulisses du studio Cryptic. Ave! The Forum Malvanum arc is now complete, so it’s time for me to share a little of what went on behind the scenes to make it, and also give you a taste of what’s coming next. We kicked off this story arc with the Forum Malvanum lockbox. 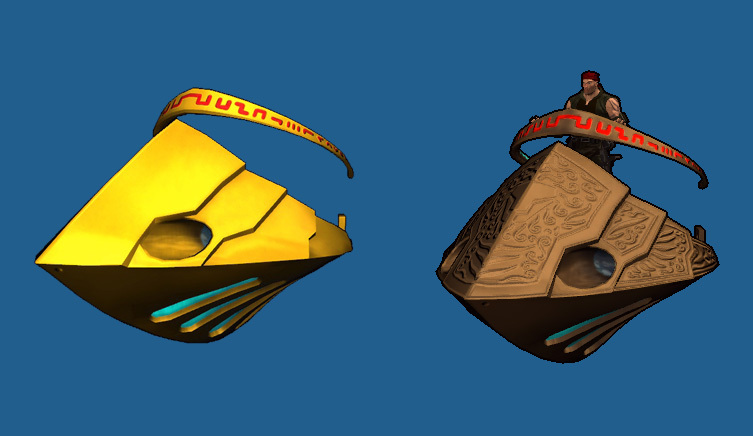 While the lockbox was packed with many cool potential rewards — including the Gladiator Imperator become device and all-new gladiator themed costume pieces — the most interesting reward from a technical perspective was the Centurion grav chariot. The chariots, like the grav bikes, allow you to see your character when you are riding them, and so required a lot more animation support than if we had decided to create an enclosed vehicle type like the Hover Tanks and Hawkwings. Even though the character don’t move much we still have to create a new animation skeleton to handle the pose and the movement/idle animations. The extra work paid off though – we’re very happy with how the chariots turned out, and are excited about what we can make using this skeleton going forward. An early version of the Centurion next to the final version. 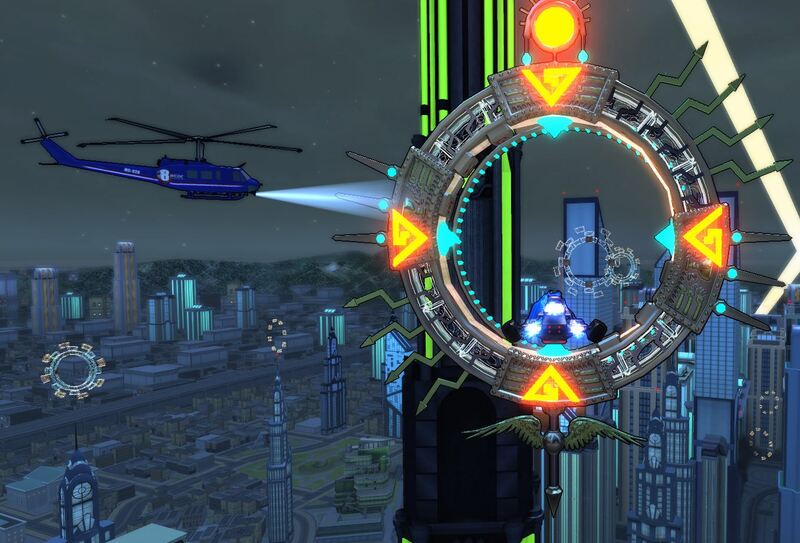 The next release was the sky race over Millennium City. This was another interesting technical challenge for us, particularly because this was a completely new type of content for Champions Online. We wanted to create something aimed at vehicle users to allow you to push your machines to the limits of their speed and maneuverability, and a race fit in nicely with the theme of the lunar games. 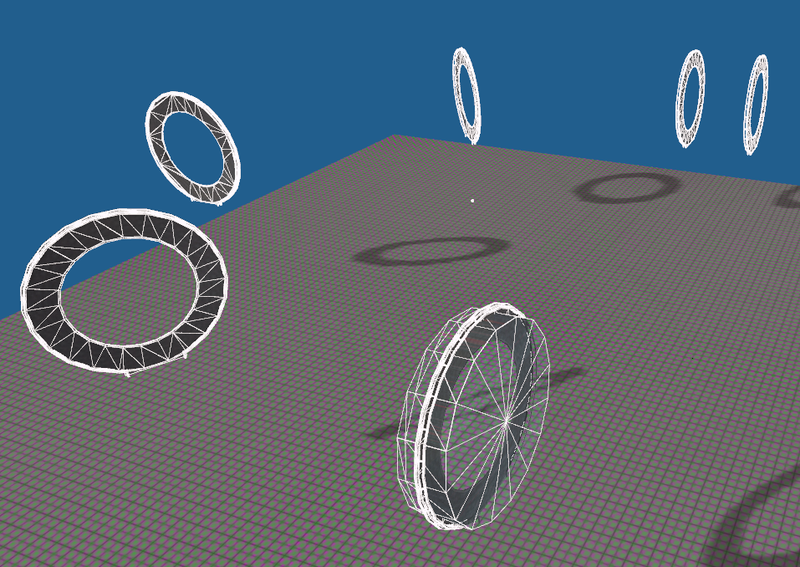 An early prototype of the Great Race using circular walkways as race rings. The race rings in situ above Millennium City. We learned a lot about how our tools can be used for this kind of content during our development of the race, which means we can add more races in the future if that’s something players would like to see. We also learned some of the potential pitfalls to avoid the future. A good example is the issue that occurred when players reported that sometimes the race rings were not registering when they passed through them. It turned out that the invisible ‘volumes’ that we use to detect the presence of a player needed to be much larger to account for very large groups all racing at the same time. We were able to quickly deploy a fix for that issue, so players were able to jump back in and race all weekend! 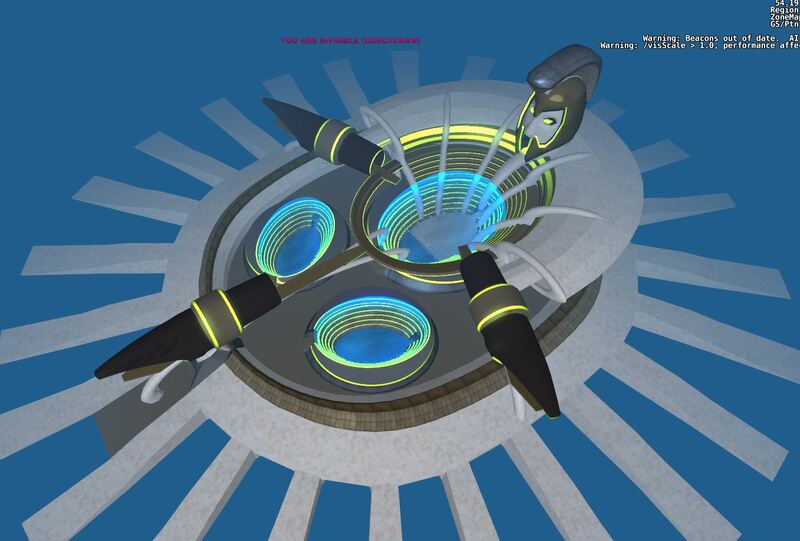 The capstone of the Forum Malvanum arc was the Forum Malvanum itself: a Custom Alert that takes place in an alien Coliseum on the surface of the moon, built by the mysterious Malvan Empire. 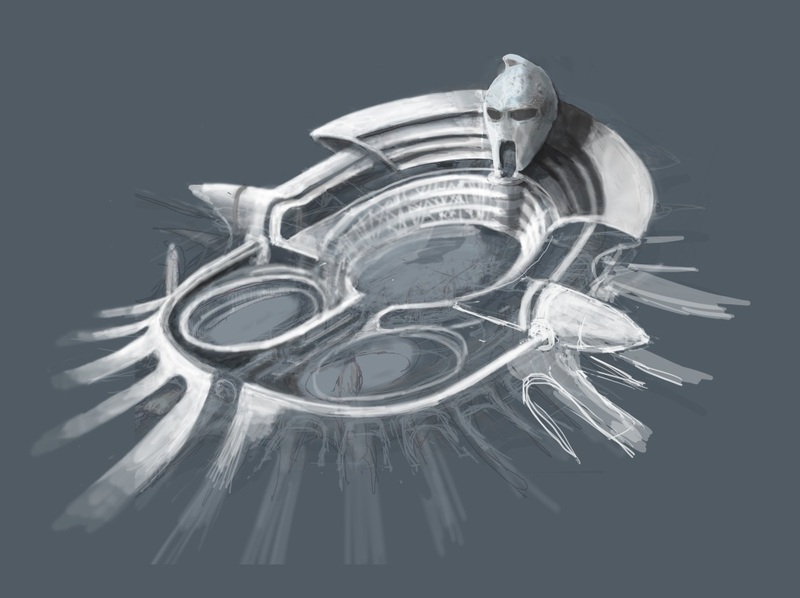 The Forum Malvanum in Champions lore is a large complex that contains several stadiums. Our version does contain the whole thing in the distance, albeit in low detail because it’s mostly set dressing. Early version of the map. We experimented with several sizes for the arena itself. 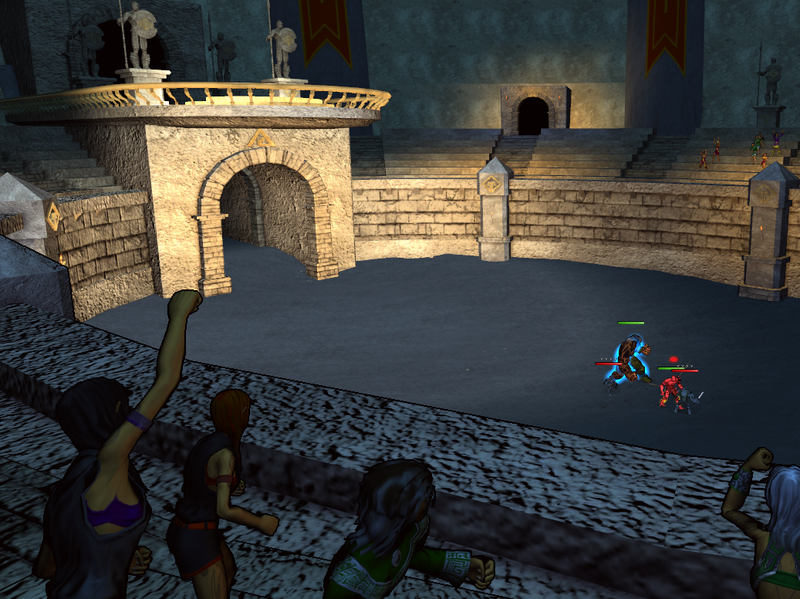 Our early versions had a very large arena that made you travel around it as enemies spawned. It sounded pretty good on paper, but in reality all the travel became tedious. We ended up with a much smaller space and it felt much more satisfying. 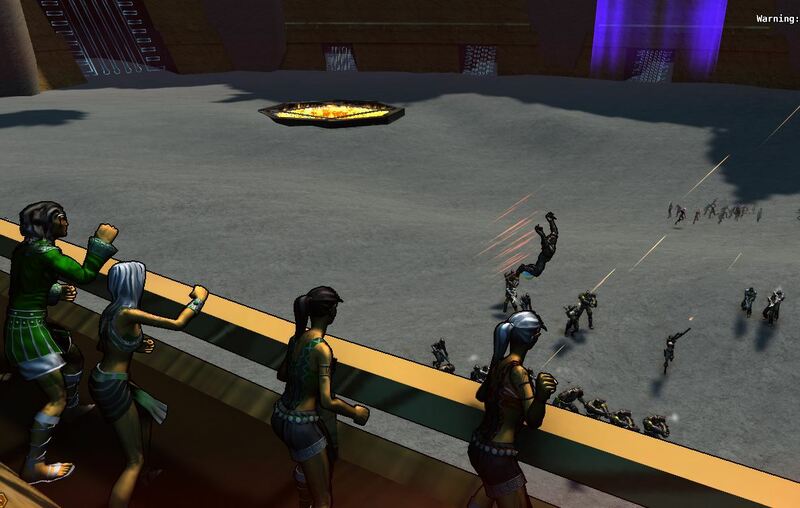 As part of the alert we gave players the chance to battle against many familiar faces from throughout the world of Champions Online, including two well-known extraterrestrial gladiators who had previously only been available as contacts and allies: Ironclad and Duratok Gorehowl. Some of you might remember that Duratok was designed by one of our players: Logan Earnest. Logan won a character design contest that we ran a few years ago, and recorded the original voiceover work for the Duratok sidekick. As part of the Forum Malvanum arc we turned to him once again to voice his character and the results are amazing. Thank you Logan! I’d also like to thank the legion of players who assisted TrailTurtle in testing the alert on PTS. Your feedback and bug reports were incredibly useful. 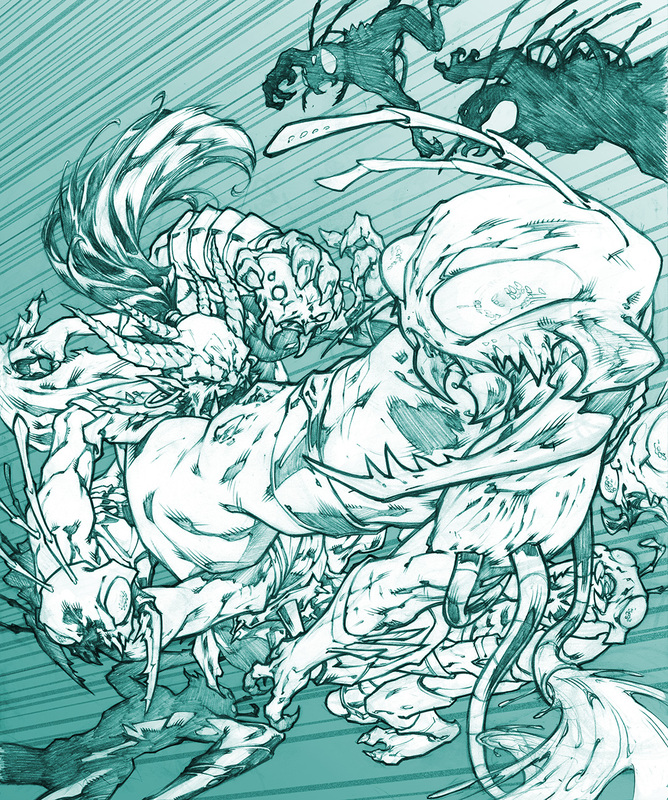 Click for a full-sized version of this concept art — Duratok Gorehowl versus a Qularr! We are now hard at work on our next content arc, which we will start talking about very soon. We are also working on some powers changes and additions, including the much anticipated Telepathy update. Log into PTS to see our current progress! © 2008 Cryptic Studios, Inc. All Rights Reserved. HERO SYSTEM, HERO GAMES, and the Hero Games logo are trademarks of DoJ, Inc (d.b.a. Hero Games). The Hero System copyright © 1984-2008 DOJ, Inc. Used with permission. 2K Games and the 2K Games Logo are trademarks of Take-Two Interactive Software, Inc. All Rights Reserved.